Occasionally as a special treat we’ll cook up some Filet Mignon when it’s just the two of us. And we did this the other night. 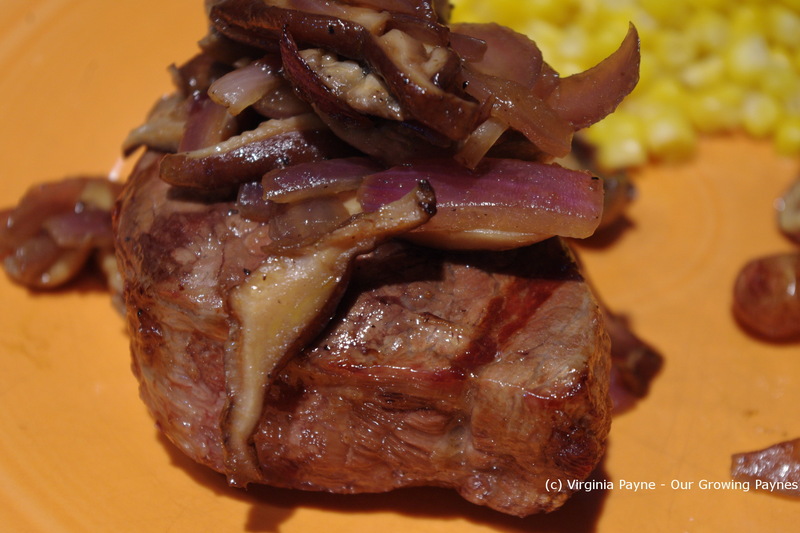 I do wish the grocery store had all natural Filet Mignon but they can’t get the antibiotic/hormone free cuts. They usually have a small selection of beef that is all natural which is good. 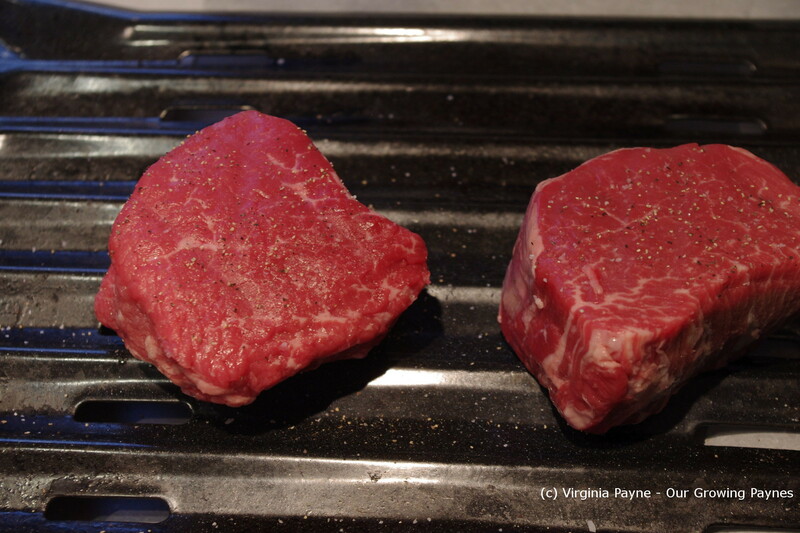 I start off by seasoning the meat with salt and pepper then I set aside while the oven heats up the broiler. For cuts this thick we usually do 5 minutes a side and it comes out medium rare which is what we prefer. I like mine a little rarer than Rich but this usually works for both of us. 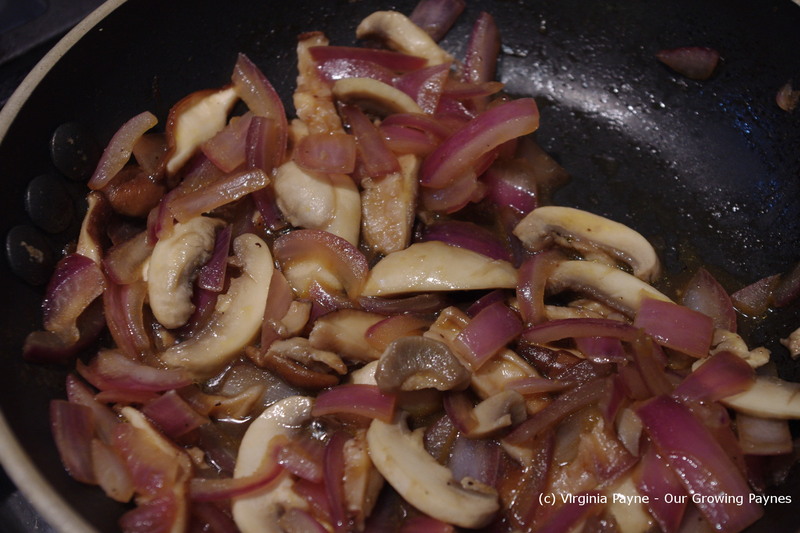 Then I slice some onions and mushrooms to top the beef. I decided to try something a little different. I started with olive oil then I added a bit of the veg bouillon I like to use with some cognac to make a sauce. I did add a bit of water as well. This allowed the mushrooms to brown a bit when it was time to serve. I do need to adjust the next time I make it as all the flavours were there but because it reduced so much it wasn’t really a sauce. Once the meat was cooked I let it rest a few minutes while I finished the rest of the meal. I served this with corn and potatoes. This took me less than 30 minutes to make and it is a real treat for us.